Ericdress.com is the best place to buy faux fur bridal jackets. Firstly, it can offer colorful fashion faux fur jackets for women. 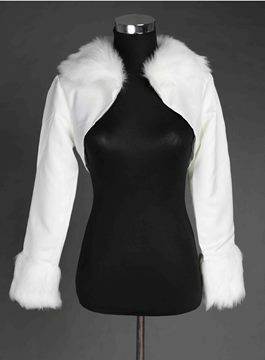 Among various styles, black faux fur jacket and white faux fur jacket are two popular ones. Secondly, all faux fur jackets for sale here are made of first-class artificial fur. So, their quality is reliable. Besides, they are exquisitely handmade. Finally, all faux fur jackets here are low-priced. They are affordable to all of people. 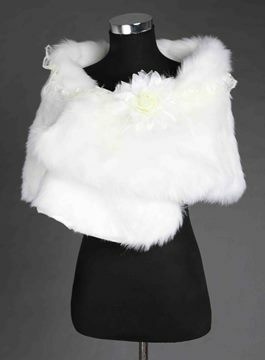 If you are looking for faux fur bridal jackets, welcome to make a purchase here. The item I ordered arrived very quickly, infact within days and I was very pleased with it. Although I was worried after reading some not very good reviews for this site that I would lose my money and not recieve my goods. I needn't have worried, the shawl was beautiful and Icould not fault it.